I must admit, I picked up this re-telling of Jane Eyre, fully expecting it to be awful. How on earth could any modern version possibly measure up to the original classic? I know this sounds terrible, but I was prepared to read this with a sense of schadenfreude, enjoying watching it fall short. I was surprised and pleased to find that the book was absolutely wonderful, breathing fresh life into the classic, while remaining faithful to the original story. Happily, Lindner skips over the beginning chapters. In the original Jane Eyre, the first third of the book or so details Jane's difficult childhood as an orphan charity case, taken in by her unkind aunt and abusive cousins. She is then sent to Lowood, a Dickensian school filled with harsh taskmasters. In Lindner's version, the story picks up with Jane dropping out of college after the death of her parents. Jane's grief is fresh, and her older brother and sister are unsupportive. Out of financial necessity, she applies for a job at a nanny agency. I thought changing the cousins from the original to an uncaring "golden boy" older brother and vivacious, yet shallow actress and model older sister made a lot of sense. It makes their cold treatment of shy and sensitive Jane all the more unreasonable. After interviewing with the agency, Jane is asked if she follows popular music at all - when she confesses that she does not, the director at the agency becomes excited, explaining that she may have just the assignment for her. Nico Rathburn, a wealthy and extremely famous musician has need of a nanny for his five-year old daughter Maddy. A few little details of the story are changed. In Jane Eyre, Rochester doesn't believe that the child in his charge, Adele, is really his daughter. In this modern version, Rathburn doesn't seem to have any doubts about his daughter's parentage. Just as in the original however, there is a gothic tone, a forbidden third floor of the mansion, with a foreboding servant assigned to that off-limits area and a fire mysteriously set in Jane's room. The relationship between Nico and Jane unfolds very slowly. Choosing to make Jane a college drop-out and Rochester's counterpart a rock star is simply genius on Lindner's part. 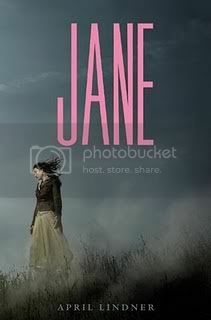 In the original, we know that Jane is a poor orphan, who has to work for a living, and Rochester is a wealthy landowner. But, the modern reader doesn't really connect on a visceral level with what that means exactly. Plenty of women work nowadays, and lots of people own nice homes, so it doesn't really seem that striking. With Rathburn as a celebrity, we can suddenly picture the huge gulf between him and Jane, with his multi-million dollar estate and jet-setting ways, while her lack of a degree in today's business climate rules out most white-collar employment. It's suddenly very clear why Rathburn so highly values Jane being unswayed by his money. One of the things that I always found a bit unbelievable about Jane Eyre was the age gap between the romantic leads. In this version, I bought it... middle-aged rock stars date college-age girls all the time. One area that I didn't think translated quite as well, was when Jane runs away and stays with River St. John and his sisters (here, his name is transposed from the unfortunate-sounding original, St. John Rivers.) It stretched my suspension of disbelief that Jane would find some modern-day missionaries running a soup-kitchen, who would invite her to stay on their couch, simply because she seemed nice. I liked that in this re-telling, many of the overly melodramatic coincidences are missing, however. Jane doesn't come into an inheritance, for example. When she returns to Rathburn, she finds he's injured his hand... a disastrous fate for a guitar player. Jane chooses to build a future with Nico, rather than River, because that's where her true passion lies. In the afterward, Lindner admits that she was inspired to try re-writing this classic because of all the attention that Jane Austen, and Pride and Prejudice in particular, gets. Indeed, published Jane Austen fanfiction could practically be considered it's own genre. Lindner definitely succeeds in inspiring a new generation of readers to rediscover the Brontë classic, I know I'll be recommending it to plenty of teen readers. So glad you liked this one Madigan, I've read mixed reviews on it but yours has made me really want to give it a try. I've definitely read a couple books thinking they weren't going to be for me and then have been pleasantly surprised, love it when that happens! I got a great feel for the book from your thoughts, thanks so much for this review! Thank you, Jenny! Yeah, I never thought I would say this, but in many ways, this reinterpretation is better than the original. Great review. I've been thinking about reading this one. I think I'll give it a try now. Hey Madigan, I'm a new follower. I'll be reading this book soon and I really liked your review and thoughts. I haven't read the original yet (I haven't read any classics yet) so I'm curious how I'll find the story as something fresh and new compared to you who read the original. Great review!